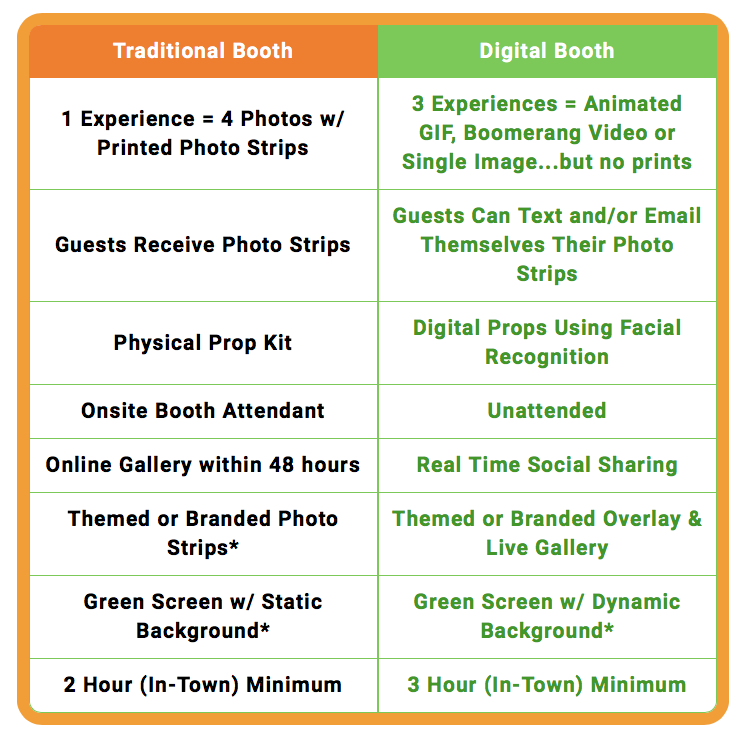 What IS the difference between the Traditional and Digital Booth? First lets talk similarities. Both booths can fit groups of up to 6-8 people. Both can be setup inside or outside. An enclosure can be added to the booth (for indoor events only). Setup generally will take an hour. That time is always included in the packages but does not count against your run time. Outdoor events are great, until you try and sit in an enclosed photo booth. Next week we will discuss the top three reasons why nature, and the enclosed booth were not meant to be together.